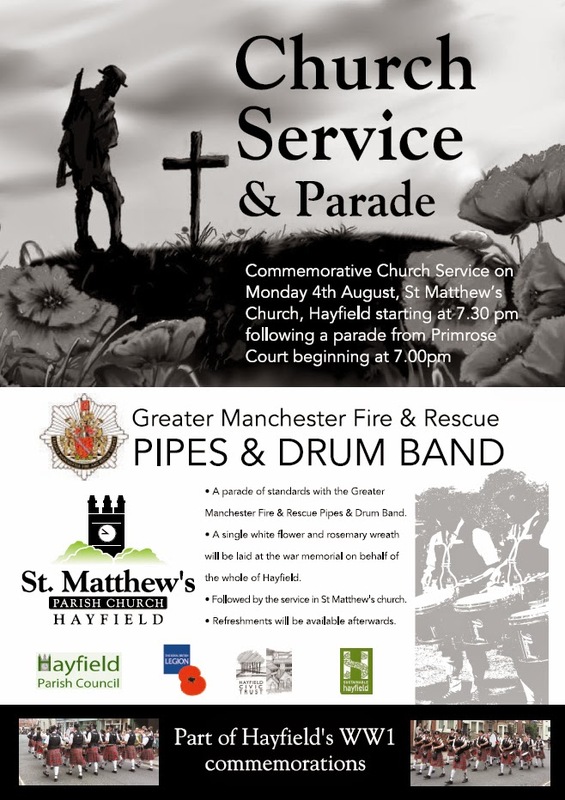 Monday 4th August, 7:30pm, St Matthew's Church, Hayfield. 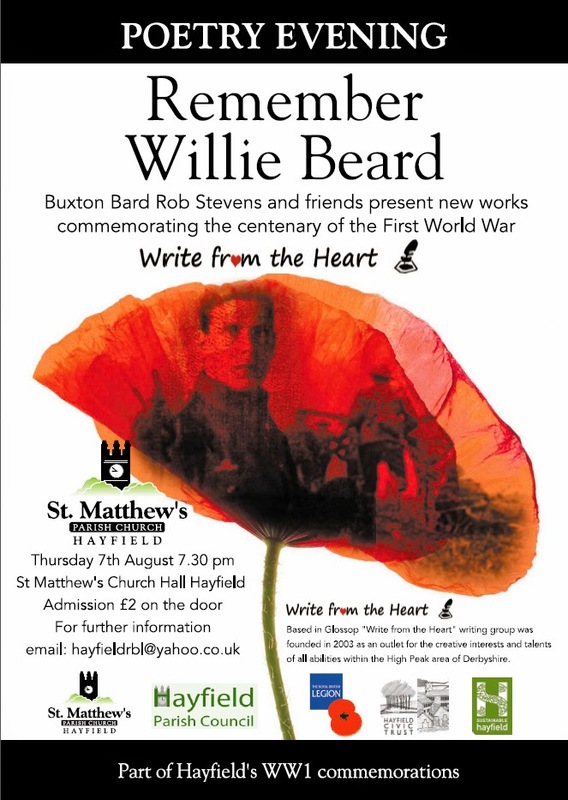 Buxton Bard Rob Stevens and friends present new works commemorating the centenary of the First World War. 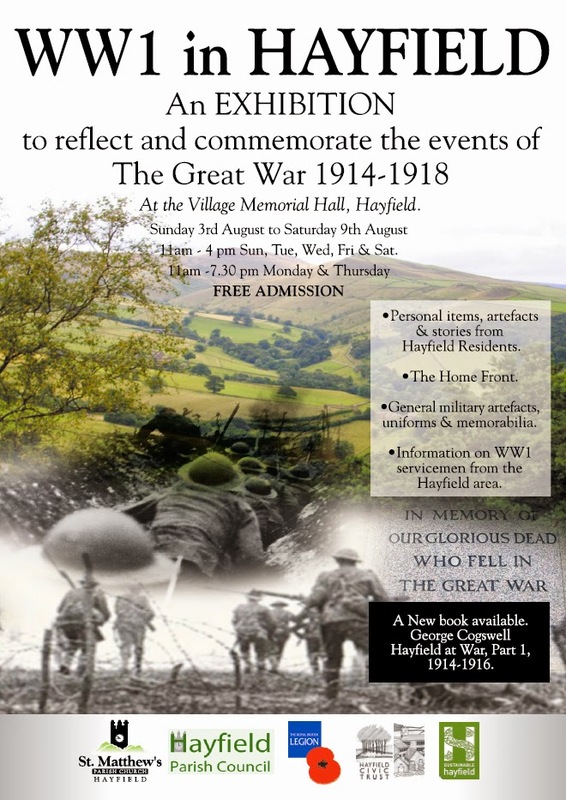 Thursday 7th August, 7:30pm, St Matthew's Church Hall, Hayfield. Sunday 3rd August to Saturday 9th August.